OLDHAM Council has joined the fight to save the second battalion, the Royal Regiment of Fusiliers – one of the best manned battalions in the army. Full Council recently passed a resolution calling on the Government to ditch plans to scrap it in recognition of its proud history and the heroism of its servicemen. This battalion recruits from across Greater Manchester and has very strong links with Oldham. It’s my belief that the army connection with towns like Oldham will cease to exist if this decision is not overturned. Being able to return to a community which you belong to and where you have a support network is absolutely vital. Councillor Cath Ball spoke very passionately at that Full Council meeting to explain our town’s strong link with the Fusiliers. “When you join a regiment it becomes your family. So I thought I’d look at what happened to previous members of that family – who were also part of our Oldham family – what happened to them and how this has affected Oldham. “When searching the Commonwealth Graves Commission website you notice that many have just their names on – no mention of any families. Some are in large cemeteries, buried alongside comrades, others in a cemetery on their own. “Many have no grave and are just a name on a memorial wall: sometimes many thousands of miles from where they died, or lived, some are not even remembered on a local memorial. “During my early nursing career I noticed the large number of elderly women who were single, or had lived most of their lives as a widow. When you look at the numbers of those who died from here in Oldham from the Fusiliers regiment – and these are from just one regiment – you can see why. “In the First World War, I can find 271 men in the Lancashire Fusiliers who had connections with Oldham, either born or lived here, and who died during the conflict. There may be more. The youngest I found was 17, the eldest 45. About half have no grave. “We visited one such grave in the Somme some summers ago: the grandfather of a friend of my parents. It was only when the CWGC went online that people could easily find where these men were buried. I think we may have been the first ones to visit this grave. “I’ve never got over the peace of the area. It was hard to visualise what it must have been like as the only noise we heard was the sound of the birds and a tractor in the distance. “We didn’t realise then that a great uncle of ours was commemorated on a memorial wall in the next cemetery- we drove past. “Our Oldham men are spread about Europe: 133 in France; 75 in Belgium; 38 in Turkey in Gallipoli; three in Germany; two in Iraq; six in Greece; one in Egypt; and finally – four in England, nine in Oldham. “In the Second World War I found 56 men who died from the Lancashire fusiliers with Oldham connections. They were generally younger than those who died in the First World War with the average age being in their twenties. “These men are spread all over the world – not just Europe as in the First World War. More have graves than in the First World War. “There were seven in India; one in Bangladesh; two in Pakistan; seven in Burma; six in Tunisia; 11 in Italy; one in Sicily; two in Malta; two in Belgium; one in the Netherlands; eight in France; and finally – four in England, four in Oldham. “One, whose name is on a memorial in England, had become a gunner on a merchant ship; he was taken prisoner out in the Far East, when his ship was sunk. He had a particularly horrible death. “He was a DEMS gunner with the 1st Maritime Reg, having enlisted with the Lancashire Fusiliers. He was onboard the SS Behar, which was sailing from Australia, when she was shelled and sunk by the Japanese cruiser Tone. There were 108 survivors, including civilian passengers, two were women. “The survivors were crammed into two small rooms and made to sit cross-legged on the floor – if they spoke or moved they were beaten. Our Oldham man was beaten so badly that he collapsed. “They sailed to the Dutch East Indies, where 36 of the survivors were taken to POW camps, the remaining 72 were kept on the deck and taken back out to sea, to be disposed of. “During a 24-hour period they were taken one by one, kicked in the stomach or testicles, and then beheaded with a sword. The execution order came from Vice Admiral Sakonji, who was later hung for war crimes. “The Captain of the Tone Mayazumi Haruo received seven years imprisonment. His lenient sentence was due to the fact he protested on several occasions about carrying out the executions. “No one else was ever charged with war crimes from this atrocity mainly due to American intervention at having all war crime charges dropped if Japan agreed to become a Western style democracy in helping stop the spread of Communism across the Far East. “In terms of the Second World War, seven fusiliers died during the evacuation of France in 1940. “One of those died after volunteering to stay behind to allow others to escape to the coast. He was 25 and lived in Royton. “William Wroe lived at 17 Orchard S, Royton. He was formerly a piecer at the Vine Mill Royton, where his father, Ernest Wroe, was also employed. He was closely associated with St Paul’s Church. William was in the TA’s for eight years. He volunteered, with three others from Rochdale to take a bridgehead. They were getting into their Bren Gun carrier when a German shell burst near to them, killing them outright. “Thousands were still in France after the evacuation of Dunkirk had ceased. Many made their way to St Nazaire. “There were five trains, loaded with troops and ammunition on their way to reach the Cunard liner, the Lancastria. They reached Rennes, 60 miles from St Nazaire. One of the trains contained refugees. Three German bombers appeared and one scored a direct hit on the ammunition train. A total of 177 British troops died, 78 remained unidentified, and these men were buried in the communal plot of Rennes Eastern Cemetery. For years it was assumed that these 78 died onboard the Lancastria, however it is now thought they died onboard the trains. It is also believed that 800 people died in this incident with thousands left wounded. “One of them was a 27-year-old fusilier from Mumps. Also on the train was another 36-year-old, Oldham man who was serving with the pioneer corps. “The ones who managed to reach St Nazaire boarded the Lancastria, which had sailed from Liverpool to rescue troops and ordinary people. “Thousands boarded her, but before she could leave, she was bombed and immediately sank. No one knows how many died, some reports say 8,000. “Five Oldham lads lost their lives on the Lancastria – two are commemorated on memorials, their bodies were not found. The bodies of the other three were washed up 20 kilometres down the coast and they are in three different cemeteries. “Four fusiliers that I can find were taken prisoner and marched to Poland. This took them four-and-a-half months, marching on average around 21 miles a day. “They stayed there in camps near Auschwitz until January 1945 – for almost five years. Then with Russians on the way, they were forced to march again. Some days they marched in blizzards and spent nights out in the open or in barns in sub-zero temperatures. A few managed to escape, but most continued to march every day for four months until they were liberated. They had very little food. These were later called the Death Marches. “From what I can find those four Oldham fusiliers survived and came home. Many other Oldhamers were also taken prisoner. “In total nearly 1,700 people died from Oldham during the Second World War, including civilians and women service people. One 52-year-old, who has a file with the National Archives, was attached to the Special Operations Executive which remains closed until 2025. Cath’s research into this area is fascinating. It shows how important it is that we as a town keep our connection with this Regiment – and also that we never forget the sacrifices made for us. I also know how important Cath believes it is that local people take the time to write down their own war stories so that they are not lost forever. I would also urge you to please visit http://www.oldham.gov.uk/fusiliers and sign the e-petition to reverse the plans to disband the 2nd Battalion the Royal Regiment of Fusiliers. ECONOMY: Retailers, residents and local councils must work together to redefine and nurture the High Street as the heart of the community. LAST WEEK I attended the annual conference of the British Council of Shopping Centres in Liverpool. This is the industry gathering which brings retailers, developers and agents together to discuss a range of issues affecting retail and town centres plus the key question on everyone’s mind: the role of town centres and how to breathe life back into the foundation of every community – our High Street. Mary Portas was the key note speaker at the event and spoke in her usual direct way about the need for communities, retailers and local councils to work together to redefine the High Street in their area. There was clear frustration expressed about the pace of change with the Government and the lack of clarity about who now takes the mantle on following the Cabinet reshuffle. Mary rightly pointed out that when times were good retailers, consumers (that’s me and you) and local councils all took the gain but didn’t think far enough ahead and take stock of the changing face of retail. That included out-of-town developments, outlet villages, internet shopping…where did they all come from? When all of us should have been planning for the High Street of the future cash was being raked in from rent, rates and parking charges – and consumers voted with their feet. We all know that major stores like Debenhams, BHS and M&S to name a few are a major draw on High Streets, and we also know that whilst people want convenience, they also want an experience. One thing alone won’t fix this. If we removed all parking charges tomorrow people who don’t feel the range of shops exists still won’t come. If we gave free stalls to all market traders that would go some way to helping, but if they still didn’t make money they would soon stop coming altogether. And if we reduced all business rates we would only have to reduce the maintenance standard across the town centre environment, which would affect the experience people have. For all our faults, Oldham’s High Street is attractive and in the (rare) sunshine is a good place to spend time. When Mary Portas researched the High Street and came up with 28 recommendations no one could argue that this was not a good start. But as she herself would say, it also needs imagination and energy. Most importantly the High Street needs to be respected and nurtured as the heart of a community. Let’s hope the Government moves quickly to implement the recommendations made: especially the restrictions on betting shops. During the day at Liverpool I had prearranged meetings with developers and retailers (who for now must remain nameless) about how we can use confirmed developments like Hotel Future, Metrolink and the Old Town Hall as a catalyst for attracting major players into the town centre and Alexandra Retail Park. Not only would this bring in new visitors it would also provide much-needed jobs for those most affected by the recession – young people and women who are in part-time work. We had a major bonus recently when BHS agreed to set up in Oldham, and the shopfitters are already preparing that site for opening very soon. I guarantee that as a Council we will continue to fight for Oldham and work hard to provide jobs and opportunities. Some really exciting projects are now coming to reality and investors can genuinely see that our Borough is a place worth looking at. Everyone in Oldham has a responsibility to act as ambassadors for our Borough and for the High Street. Whilst I do accept that some have witnessed decline and are angry/bitter/indifferent (delete as appropriate), it’s clearly time for us to move forward because – if the people of Oldham don’t believe we can be better tomorrow than we are today – why on earth should a private investor or retailer believe it? As a Council we will do our bit and work with others to attract investment and create a town centre environment that people look forward to visiting. That means great shops, good restaurants and a family-friendly experience. We are also looking at potentially scrapping parking charges for up to two hours – but only if that’s part of a wider plan – and not just a knee jerk reaction. None of this will be easy, of course. It was hard enough to achieve progress and growth when times were good, let alone during the worse recession for generations, but I’m not willing to accept to be here simply managing decline. The conference was a mixed experience; informative, depressing, uplifting but most of all confirmation that if we continue to do things the way we always have, then we can not expect a different outcome. Finally, I’d like to invite you to attend our second 20:20 lecture on Thursday night this week. ’Business and the Community’ is the theme and our keynote speaker at this free event is Paul Walsh, the CEO of Diageo plc: the world’s biggest premier drinks company. 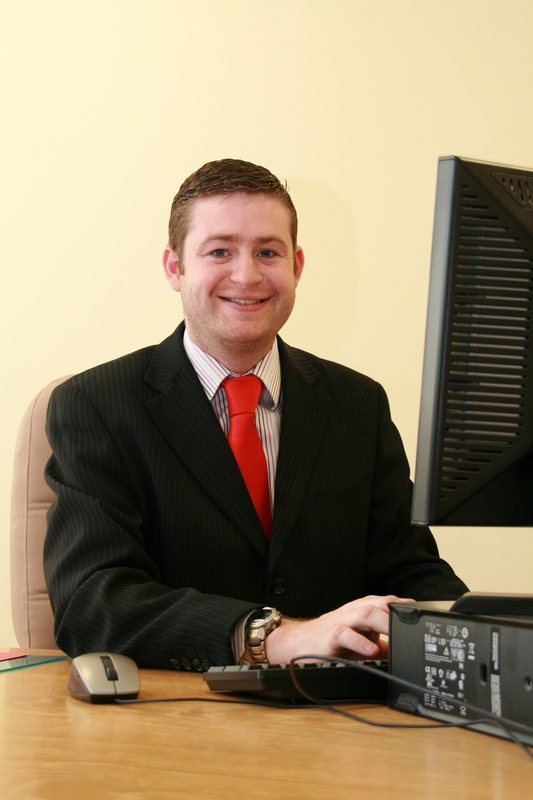 Paul is from Chadderton and was educated at Royton and Crompton school, and Oldham College. He will talking about his own personal story and experiences that have taken him to the top of his profession. There’ll be also an audience-led debate about the role of business in strengthening our communities – and about how we encourage an entrepreneurial environment. The 20:20 lecture is being held at Queen Elizabeth Hall, Oldham Council, West Street, Oldham, OL1 1QJ, Oldham, between 7 and 9pm on Thursday, September 20. Refreshments will also be provided and free parking is available. 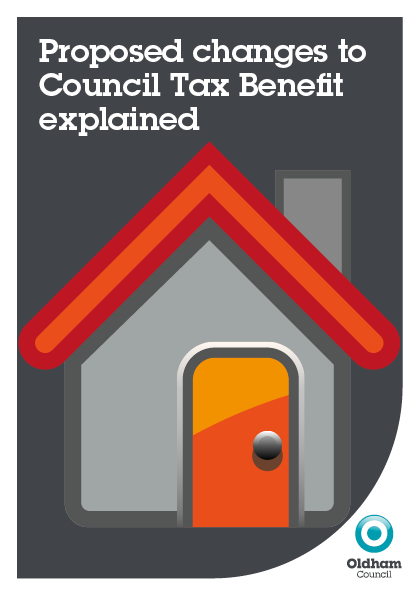 CONSULTATION: This leaflet explaining proposed changes to Council Tax Benefit is being sent to all those potentially affected. NO POLITICIAN comes into Local Government expecting to be forced to take decisions that will hurt some of your most vulnerable and low-income residents. Sadly, however, that is exactly the scenario which Oldham Council is facing this week in launching its Council Tax Benefit (CTB) consultation. The reforms to CTB are part of a wide-range of changes that are being introduced via the Welfare Reform Act. The Government describes this piece of legislation as “the most ambitious, fundamental and radical changes to the welfare system since it began” – and for once I agree with them, albeit without their enthusiasm for it. CTB is a very dry and complex subject but I’ll do my best to try and explain the issues here because – and there’s no hiding from it – this will hit many residents directly in their pockets. At present all Local Authorities administer Council tax Benefit (CTB) on behalf of Central Government and are reimbursed 100 per cent of what it costs. From next April, however, the Government has now decided to reduce the amount of funding that it gives to Oldham Council for CTB by 10 per cent. We must also design our own local CTB scheme with new criteria to meet this reduced budget. For Oldham Council it means a reduction in funding of about £2.7 million annually and, inevitably, it will mean some people are going to be worse off than before. Around 28,000 local people currently get CTB. The harsh reality is that it is not as simple as a 10 per cent cut across the board from all recipients because of the way the Government guidance is geared. Government has opted to exempt those of state pension age from the changes, which removes 11,000 from that figure straight away. That means that the burden falling on the remaining 17,000 or so residents will be even greater than that 10 per cent. Like all other local authorities up and down the country we have no choice other than to try to minimise, wherever possible, the impact on our poorest residents as best we can. But it isn’t easy. We’ve drafted a proposed new local CTB scheme and agreed this at Cabinet last week, but I can tell you that this was as reluctant a decision as I hope to ever have to make in politics. I would stress that this model is simply a proposal at this stage and that it is also hugely important that you have your say on it. Letters are going to each resident potentially affected and we’ll monitor the feedback very closely before deciding the final scheme early in 2013. In that questionnaire we’re also asking for your ideas about how the Council can support you to improve your financial situation. Whilst it saddens me to have to implement CTB localisation, we as a Council must also respond by delivering for you in other areas. Our hard work to attract inward investment continues this week at the British Council of Shopping Centres conference in Liverpool, for example. That is part of a major drive to get business to see Oldham differently and come here to create new employment opportunities for people. A big part of being a Co-operative Council is also about us doing much more as a Campaigning Council on your behalf. We’re already getting on the frontfoot in this regard in several areas where we think we can make a real difference on issues that are beyond our direct control but have a very clear impact on our residents. You’ll probably have already seen some coverage of our ‘Fare’s Fair’ campaign, which seeks to end the unfairness in the high comparative cost of public transport in the North East conurbation of Greater Manchester. At Full Council tonight (September 12) we’re also proposing a motion that, subject to approval, will see us taking steps to establish an Energy Co-operative. This would seek to create an Oldham Energy Tariff to provide a fairer deal that can lift residents in our most vulnerable communities out of fuel poverty, and I will blog more about this initiative in the future. There’s a whole range of other issues out there from the growing presence of payday lenders and log book loan shops, to high street banks failing small businesses in our Borough, where we can try to help residents out. Whilst we know that campaigning work can’t immediately compensate for the financial blow the new CTB scheme will represent for many residents, we’re absolutely determined to do everything we can to continue to try and improve your lot. I’M BACK at the Civic Centre this week and already it feels like I haven’t been away more than ten minutes. As Council Leader I am, of course, never completely off-duty and do have to deal with and oversee some matters remotely during the recess period. Nonetheless I used the break as an opportunity to spend quality time with my family in Ireland and that ‘head space’ from the day-to-day hurly burly of work is one that I always greatly appreciate. Much has been happening since I last updated the blog – and plenty of it was positive. The Borough’s GCSE and A-Level results were released last month and made for good reading. In GCSEs around 91 per cent of pupils at our schools got five more grades A*-C, which was a significant improvement on last year. It was also the 12th year that attainment had risen – bucking a national trend which saw the first falls in many years. In terms of A-Levels, we also saw an improvement on our A* to B pass rate and the overall pass rate from A*-E was more than 98 per cent. We cannot be complacent about this improvement though and we’re looking at these results to identify any trends that need addressing in the future. These results are the product of many years of hard work and dedication by these students to get the best possible launch pad for the future. I congratulate them for their achievements but it’s also important to highlight the support and endeavours of teachers, tutors, school support staff and parents – all deserve credit for this. 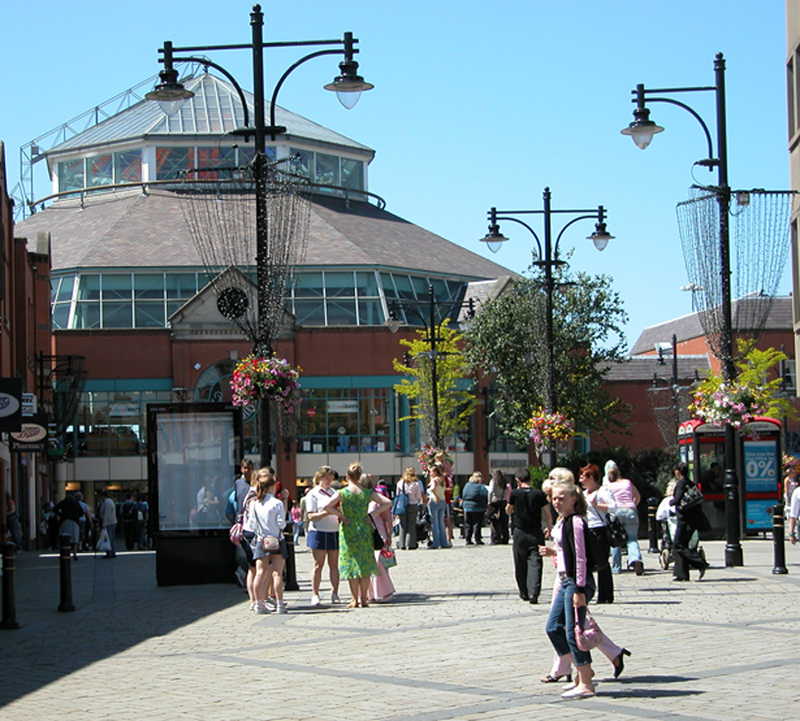 There was also good news for Oldham town centre with the announcement that British Home Stores has signed a 15-year lease on the huge unit vacated earlier this year in Spindles by JJB Sports. I’ve already noticed people measuring up on-site and beginning to start fitting out the store which should open before Christmas. Not only is the attraction of a flagship retailer like BHS a great sign of confidence in Oldham, it will also have a positive knock-on effect for the local economy and I’m aware their announcement has already prompted other new interest in the town centre. We hope this momentum will continue and – as part of that – I will be attending the British Council of Shopping Centres conference in Liverpool next week. Our presence there, which will include a speech from Charlie Parker, Chief Executive, is all part of our push to spread the word and get business to see Oldham differently. Face-to-face contact is vital in that work and I’m looking forward to meeting retailers, explaining our vision and showing them what we have to offer. Over the summer months our TV screens have, of course, been dominated by the London Olympics and Paralympics. I’m not an obsessive fan of sports but I think it was hard for almost anyone in Britain not to get swept up by the much-needed ‘feelgood factor’ from these events. The games got people watching all manner of sports that they would perhaps not normally be remotely interested in and that – hopefully – should provide a positive and lasting legacy in terms of getting people off their couches and into more regular sport and exercise. I must also congratulate those local people who competed. Nicola White has rightly grabbed many headlines for her Hockey bronze medal, but all who took part did themselves proud as ambassadors for our Borough. The games were also a fantastic showcase for British culture and tourism: even if I do still maintain more could have been done to use venues outside of London, such as the National Cycling Centre in Manchester. 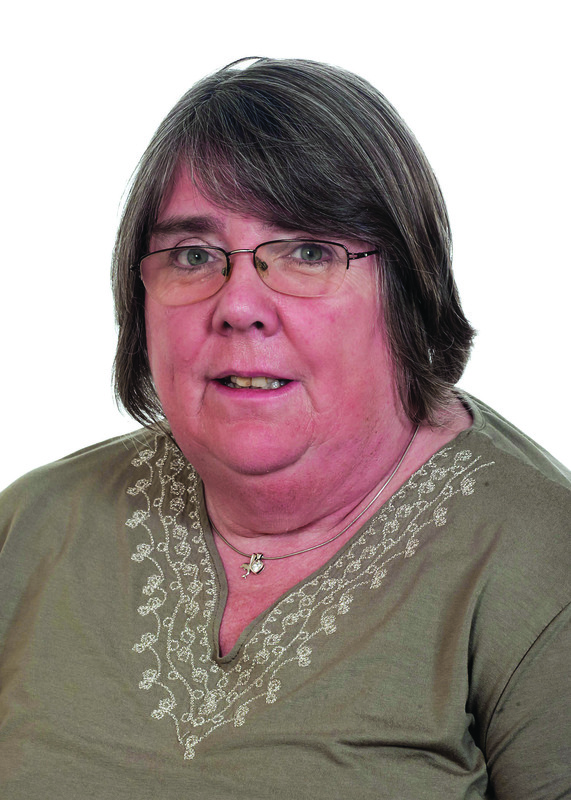 Finally it would be wrong for me not to make mention of the sad recent death of Councillor Glenys Butterworth. I cut my break short so that I could return to attend and speak at her funeral and was so glad I was able to do this. Glenys’ funeral service was very moving with lots of tributes being paid by people there from the Trade Unions movement that she made such a huge contribution to throughout her life. She will be sorely missed by family and friends and all who knew her – especially those Failsworth West constituents whom she represented with her trademark determination to succeed. There will be a celebration of Glenys’ civic life at Failsworth Town Hall on September 12 at 1.15pm and anyone who knew her can attend. I am certain there will be an excellent turnout and not a dry eye in the room.